Lévy Gorvy is pleased to present a solo exhibition of new paintings by renowned Korean artist Chung Sang-Hwa (b. 1932). 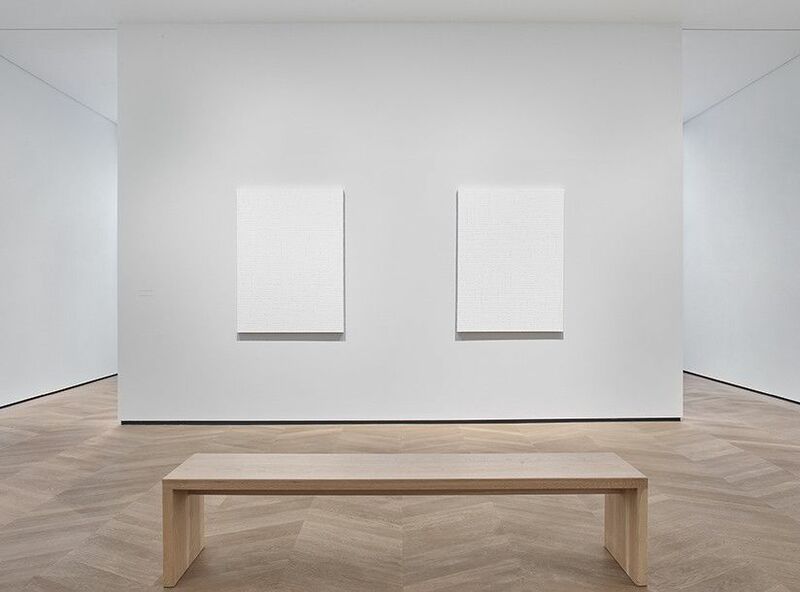 Featuring seven recent white monochrome paintings by the artist, this represents the first solo exhibition of Chung’s work in London. The gallery previously held the inaugural exhibition of Chung’s paintings in New York in the summer of 2016. The works included in Seven Paintings demonstrate Chung’s career-long engagement with repetition, ritual, and process, highlighting the infinite complexity and nuance available in the white monochrome format. Eliminating decisions of scale (each canvas is 130 x 97 cm) and coloration, Chung instead foregrounds his meditative painting method. The result is a suite of subtly evocative works with intricate variations in surface and texture.